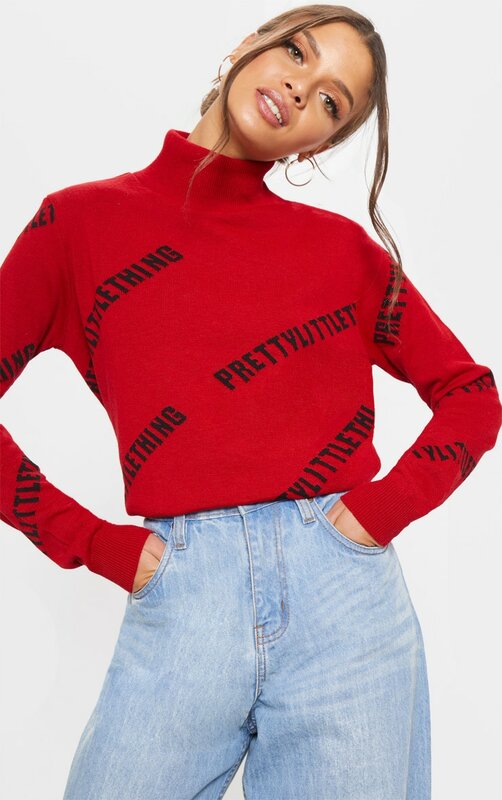 Elevate your look with this wardrobe staple jumper. 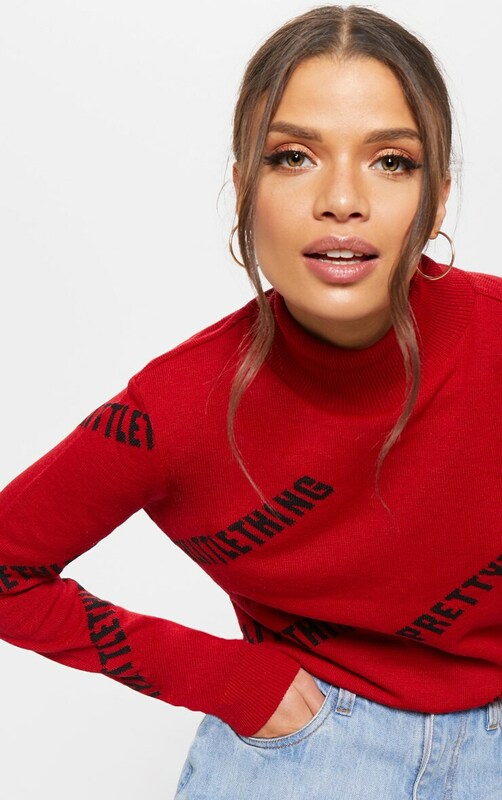 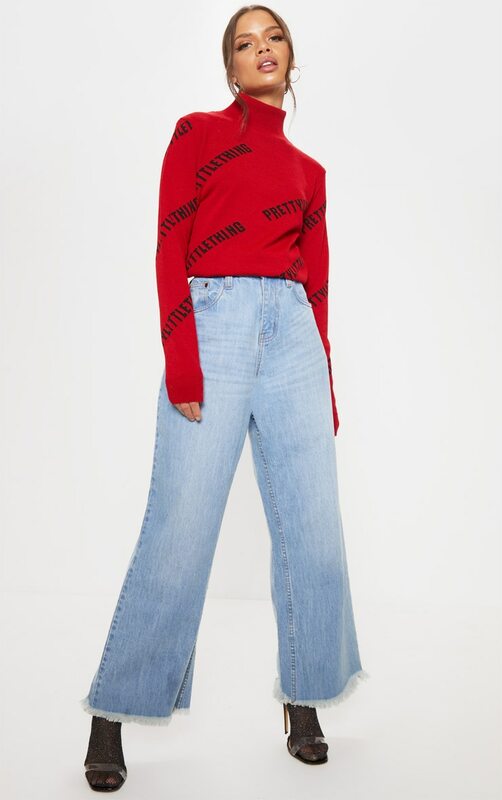 Featuring a red knitted material with an all over PrettyLittleThing logo, a high neck and a figure-skimming fit. 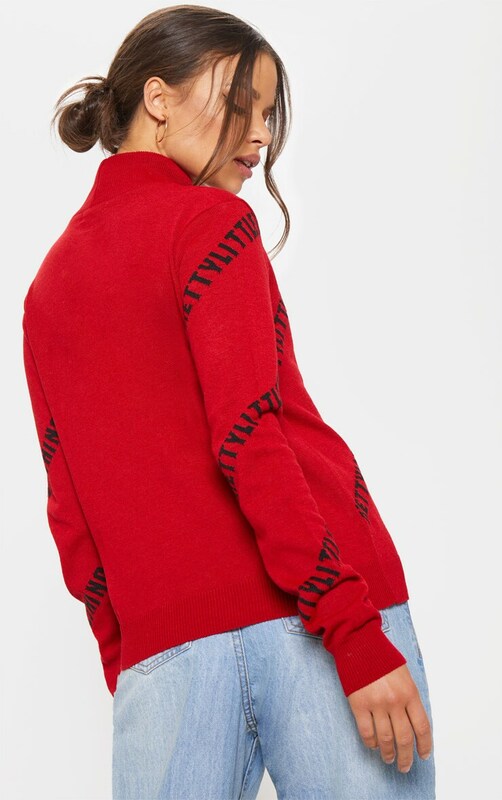 Dress this up with a pair of barely-there heels or grunge it down with a pair of fresh kicks.